Well Day Five was a pretty big failure when it comes to Thing A Day. I really wanted to post something, but I woke up and went to a friend’s house to help prepare food for the Super Bowl. She made queso dip, lil weenies, and football brownies. I made a mexican chicken pizza and an Italian sausage pizza. Everything was delicious and turned out great! I rode to the party with my friends, so I didn’t get home until 10:30, which gave me no time for Thing A Day. Today, to make up for it, I made two things. Day Five’s designated recipe was for Lychee Cubes. These did NOT turn out, but I think the basic theory would work for liquid spheres with something solid in the middle. I will explain how I made them, because I really think there were just a few simple errors and these would be pretty easy to fix. This is your standard alginate bath – 2 cups water and 1 packet Sodium Alginate. Mix with an immersion blender and place in fridge for (at least) fifteen minutes. 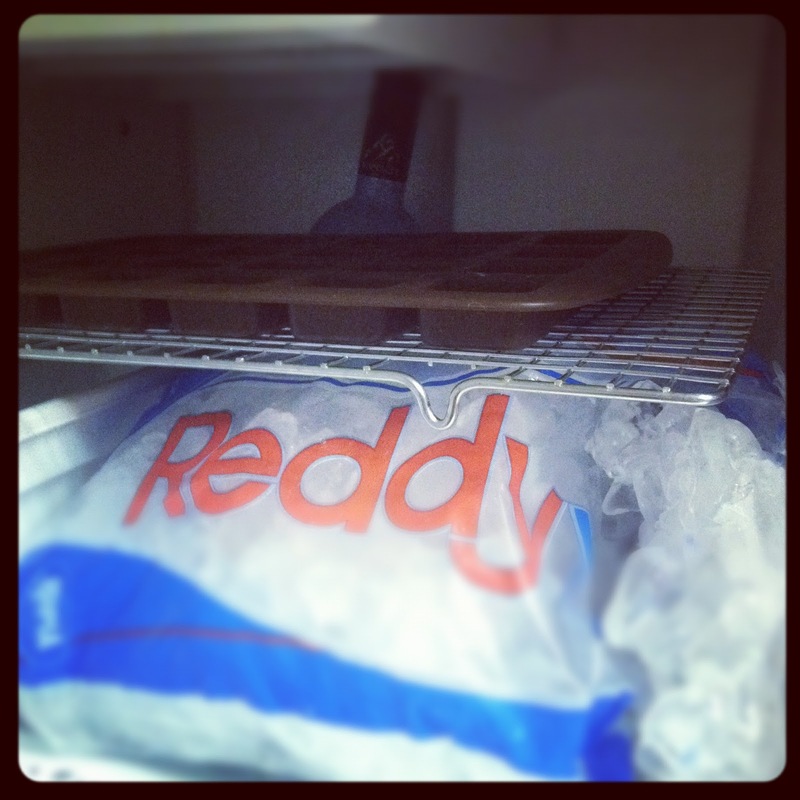 Note as you read the recipe farther, I would recommend freezing the other portion overnight. Therefore, you can probably make this bath the next day. Add half teaspoon Calcium Lactate to 1/2 cup canned Lychee syrup. 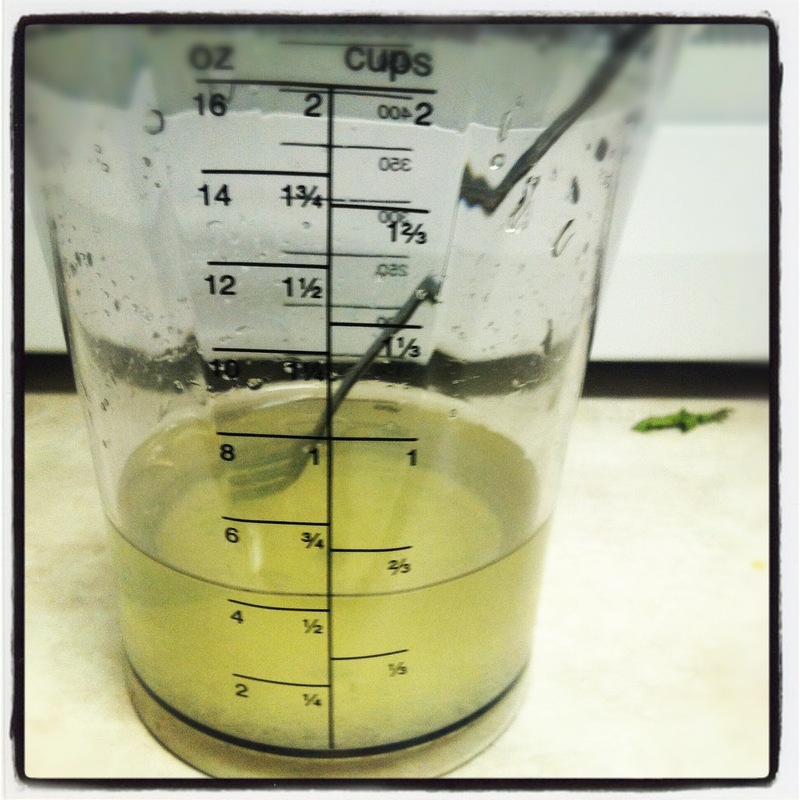 Mix thoroughly – I had a tough time getting it mixed completely. Keep stirring until it is! Pour the prepared Lychee syrup into the silicon tray. I could not find a circular tray anywhere, and I think this would work way better with a circular tray, rather than large squares. Do not fill the tray completely or it will spill everywhere. 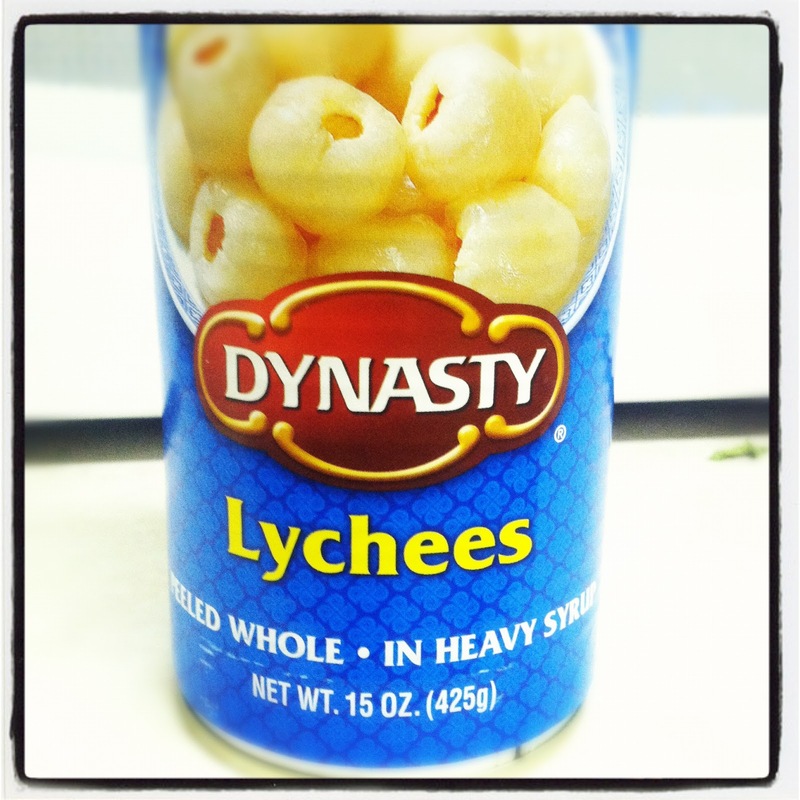 Add the solid bits of lychee evenly into each spot. Then, place on a baking tray (the silicon tray will bend if you don’t) and freeze. I did NOT let mine freeze long enough. 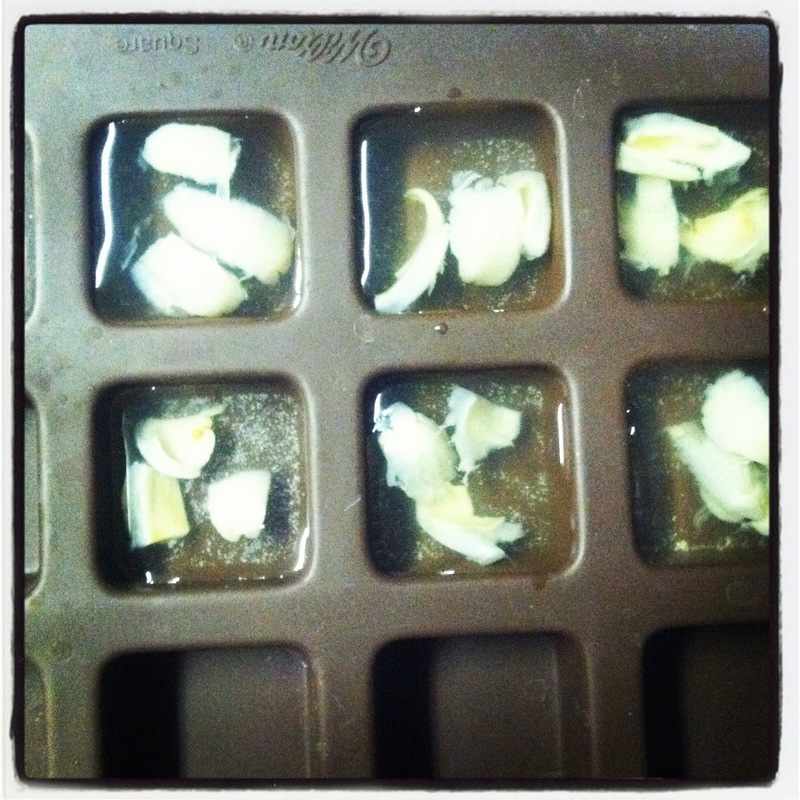 Ideally, freeze them overnight. 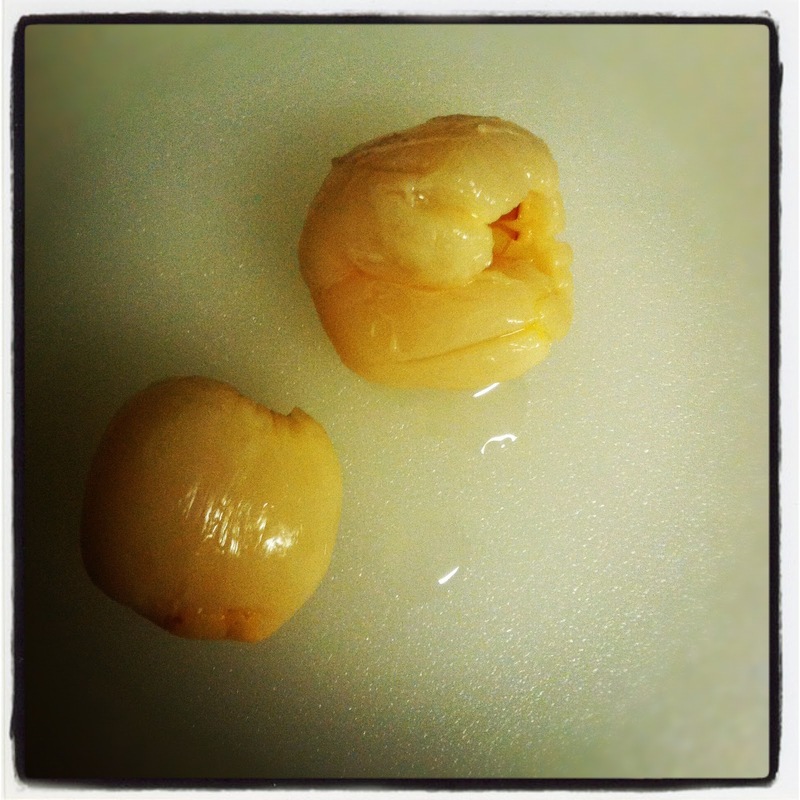 Pop out the lychee squares and let soak in the alginate bath for 3 minutes, then put in a rinsing bath (water). My problem here was I put too many cubes into one bath, and they all stuck together and made a big mess. Use a big bowl and make sure the cubes are not touching. I think this has the potential to be really cool – essentially you can make spheres/cubes that are liquid with something solid in the middle. That would look really awesome. With a few tweaks (freeze completely and don’t let them touch in the bath) I think it would be pretty easy. When I did it, they all stuck together and turned into a big gross blob!